BBC WebWise - What do I need to know about 4G? What do I need to know about 4G? You may have heard people talking about different types of mobile phone connection such as 3G and 4G. The 'G' stands for 'generation' which is simply indicating that it's the latest version. So the higher the number, the newer the mobile technology. 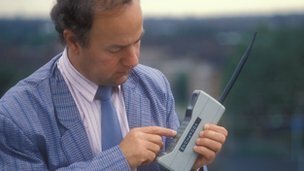 The first generation of mobile phones had big, bulky handsets. They could only be used for phone calls, and only then if you were lucky enough to be in the range of a signal. With 2G we got text messaging and a system which allowed us to send small files like picture messages. This was as good as it got until 2003 when 3G was launched in the UK. But things didn't really take off until the late 2000s. This new technology made it possible to send much bigger files. The speed of connection was faster too, allowing internet connection and video chat on some handsets. Without 3G, smartphones would not be able to perform many of their functions that make them 'smart' such as sending e-mails, sharing photographs or finding directions on a map. You may also have heard of 4G - an even speedier connection. 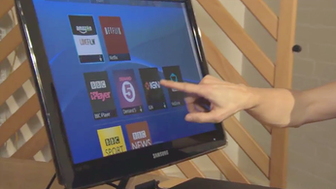 In fact, many activities can now be carried out using a smartphone which previously required a laptop computer. 4G is up to 10 times faster than 3G and even allows you to stream movies or live television to your mobile. To use 4G you will need a smartphone handset which has been produced with the capability to pick up the 4G connection. Only newer phones will have this so it's worth checking when you buy a new handset or go for an upgrade. You'll also need a 4G contract from your provider. You need to be aware that 4G isn't available everywhere yet because the mobile phone companies provided 4G to big cities first. So if there isn't a 4G signal where you are, it will switch to use 3G instead. Because it's quicker, you can download more than ever, which costs the provider more. That cost is reflected in the types of deals and contracts available. They are more expensive than 3G contracts, but then they were more expensive than 2G at first, so in time costs may well come down. 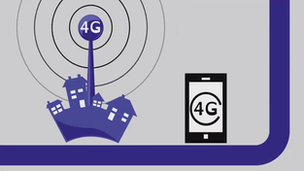 News: What will 4G mobile services mean for customers? WebWise: What is internet security?